Note: Please pardon this pic-heavy post. 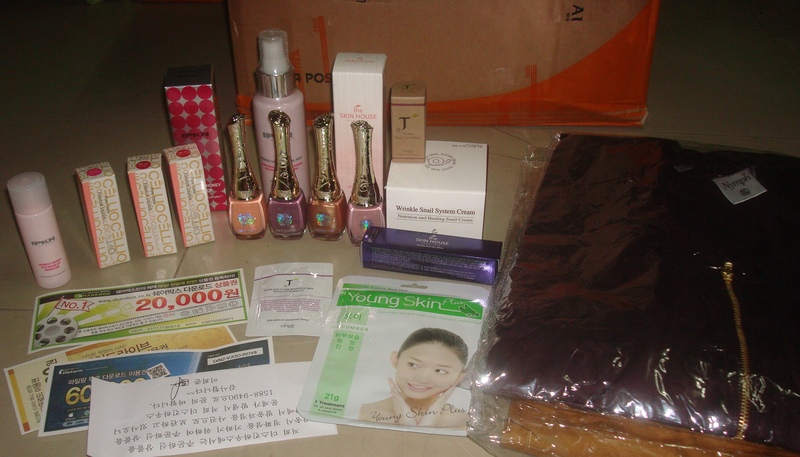 This November haul from Gmarket is by far the headache-free order I had from the site, well, save for the cancelled item (I don’t know the reason for cancellation but it was quickly refunded to my PayPal account). I combined shipping for two orders and I was able to save EMS fees. Yes, this is stress-free since this is the first time that I did not pay extra duty and taxes at the Post Office. The package was successfully delivered to my apartment. 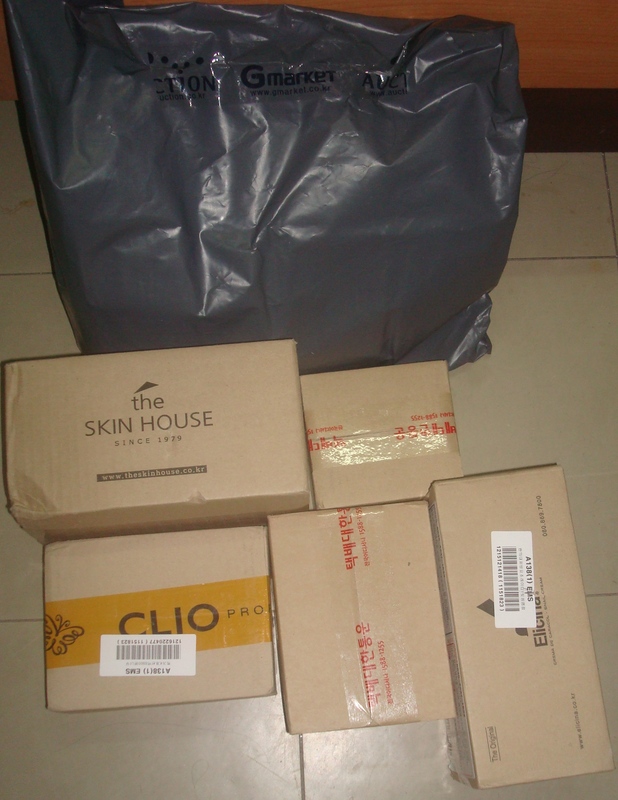 The box is full of individual boxes/ packages from the different sellers. This is quite a good deal. This is a 1 + 3 promo, which means you get three free items when you buy one product (it’s a choice between the honey primer and a radiant something… ooppss, I forgot what it was, it was a highlighter). The freebies are a honey mist, which smells so sweet and is really refreshing, a little bottle of eye make up remover and some download coupons (anyone who wants the download coupons can leave me a message for the codes since I have no use for them). I was actually expecting a box of cottons/ tissues as the third freebie since that is what’s mentioned in the site. Wonder what happened? I was surprised that the Yojolady Snail Secretion is a little, little item (4mL). I tried a drop of it on my skin and it tingled, it is strong. I haven’t used it and I am quite hesitant to use it. I inquired from the seller how to use it and I was told it should be mixed with Blemish Out toner or it can be used purely on a blemish. I tiny drop should suffice. 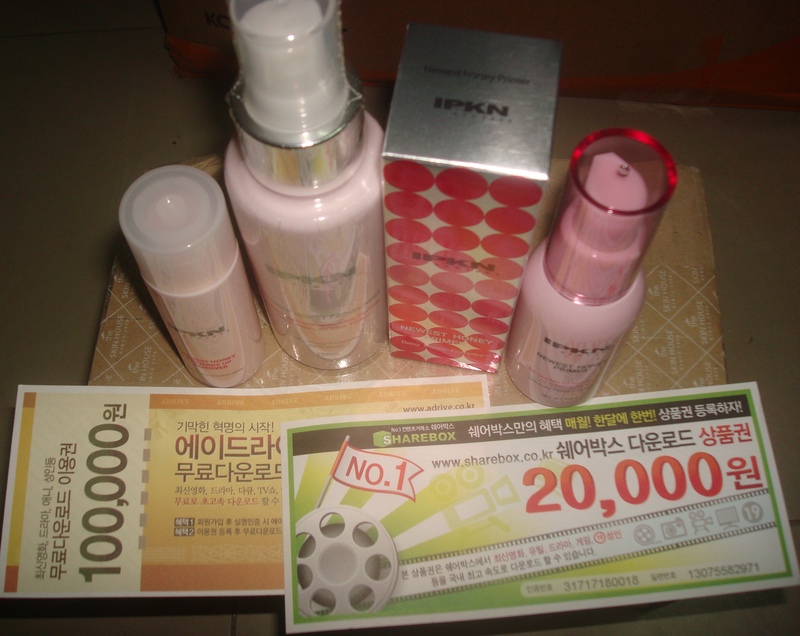 The seller sent me a sample of the toner and some brochures, most of them are in Korean, though. The Peripera nail polishes were on 1+1+1+1 offer. Love their quality (I tried one) and how they are packaged. The purple and the pink ones are new colours for autumn. Like I said in my previous post, I would like to try the perfumed nail polishes next. The Cellio lipsticks are also value for money items as they are on 1+1+1 offer. 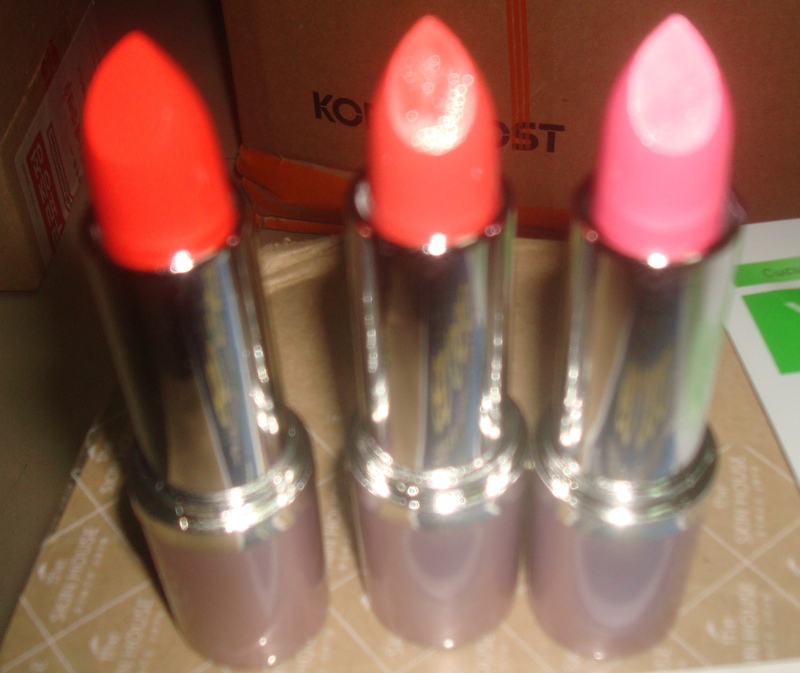 I haven’t checked the quality of the lipsticks though. Their colours are much darker than advertised on the site but I hope it can be applied well on the lips and are not drying. 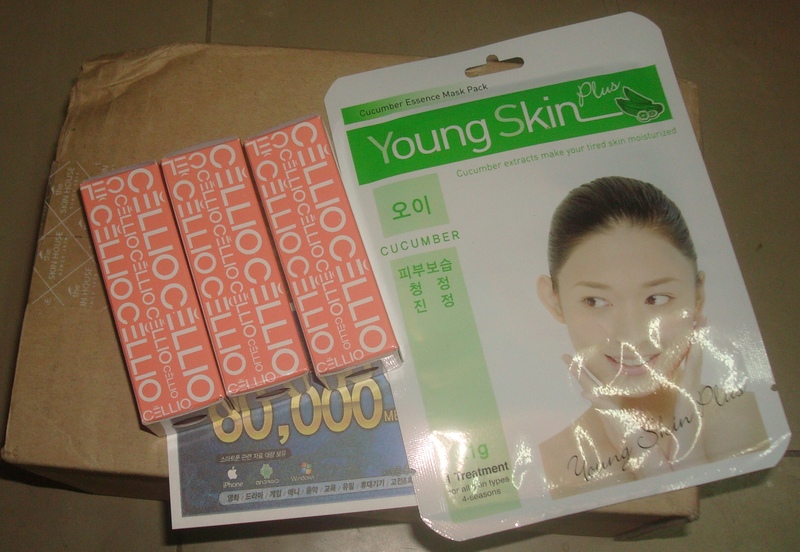 It came with a free cucumber mask and download coupon (again, to anyone who wants the code for the coupon can message me and I will give it to you). 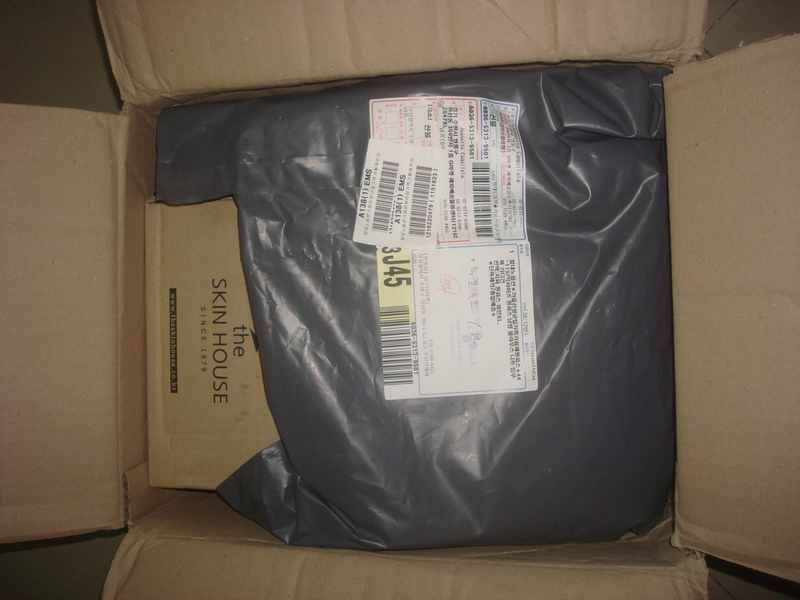 I am super excited for the Skin House snail cream. The snail craze hasn’t worn off on me yet and I am still in search for snail creams. I also got this particular snail cream on promotion with a free lip gloss and mist. Even its price is discounted, so it is definitely a good deal. Some of the snail cream leaked from the jar and it is really sticky. Hope it works well with my skin. 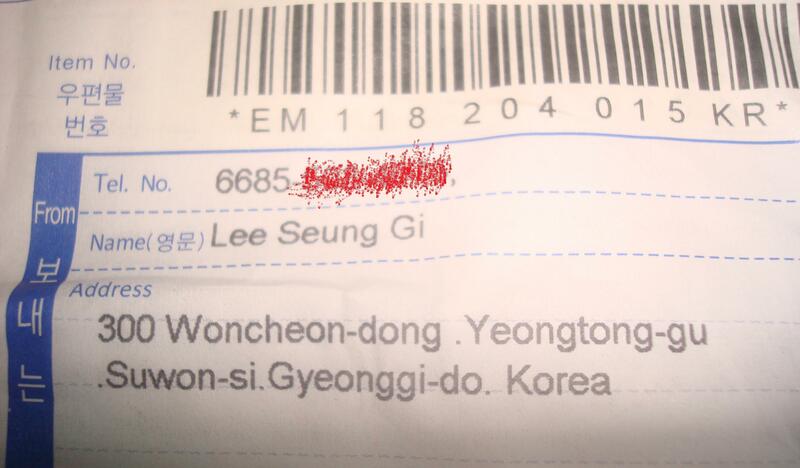 Oh, there’s a note with the package but unfortunately I can’t read Korean so I don’t know what it is about. I was most excited for these two dresses that I ordered. 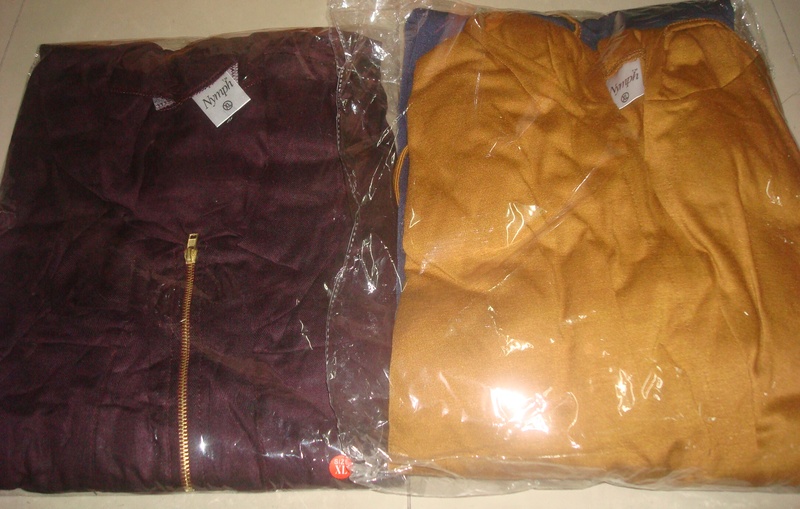 But I am not so much satisfied with the quality but its cheap so I got what I paid for. These dresses look so much prettier in the pictures though. I thought I ordered black but I got purple instead. The purple dress had a different hue from the site. The orange & blue dress has a hood, that feature wasn’t highlighted in the seller’s page so I didn’t notice. I thought I can wear this to work but it’s too casual. I hate hoods too. Anyway, there might be a few misses but I am quite satisfied. I found good deals with the other items. I can’t wait to do another haul for my Christmas presents purchase. Gmarket is so addicting but it’s so fun. It takes a lot of patience to select and order an item but when you get used to it, you wouldn’t mind it anymore. If you have questions, you can message the sellers and they reply. I message them in English and they reply in English as well. Well, some reply in Korean but you can always translate them via Google or Babylon. Gmarket customer service assistants are especially helpful too. They reply to my queries and message me if need be. 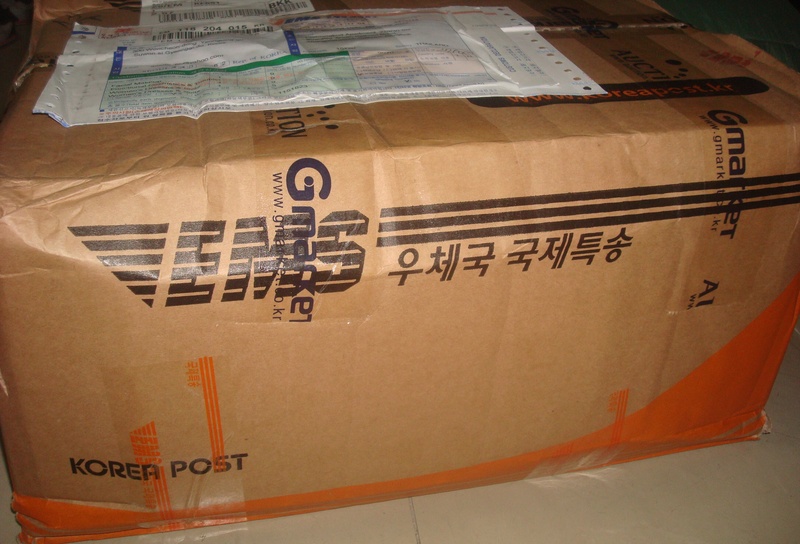 Have you tried shopping at Gmarket? How was your experience? Oh, drop me a note in the comments section if you need links for the products or if you want reviews of the items. But wanna comment on few general things, The website layout is perfect, the subject matter is really great : D.
Hope I was able to be of help. Pls do visit my blog again, thanks. the 1+1+1 one deals, how do you order it on the page. Is there an extra tab for the free one you want. As you can tell im not korean literate. Hi mai! I am can’t read Korean as well but I use google translate :). And yes, for the 1+1+1 deals, they have separate tabs for each so you can select the item that you like. On the name of the item (located at the top of the page) where you see the “Translate” button, click on it and you can see the different tabs and different choices.